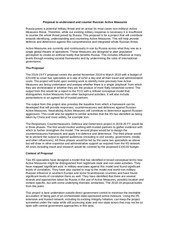 This PDF 1.5 document has been generated by , and has been sent on pdf-archive.com on 28/11/2018 at 16:02, from IP address 84.236.x.x. The current document download page has been viewed 131 times. File size: 280 KB (4 pages). say: “Russia is the most friendly power to Greece”. conclude that it is others who are doing this. world. Few speak good English. Many have ideological problems. “politicians are taking Russian money, or Russia is spreading disinformation to deceive us”. start the process of making people aware. and become PM, he is not pro-Russian. 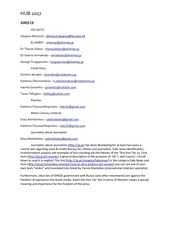 Key Government people have close links to Russia. trying to get the media which does support the government to undermine media which does not. Press, the weekly “To vima”, the daily “Ta nea”. If he succeeds it will have an important effect. really attracted by Putin’s demonstration of power. 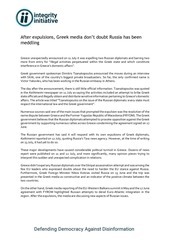 The main vehicle for Russian influence in Greece is cultural, showing the affinity between peoples. This is reflected in lots of TV programmes. Anastasios in Albania, Bishops in Romania and Kosovo. attaché is the main method of Russian influence on them. In Greece, the press is not only black and white, there is also a grey area. are true, no matter what the source. money. For example, Livanis, owner of Epikera, gets 50k Euros from the Russians each year. countries outsource their analysis / autopsies of cyber-attacks. Only the Estonians never do this. system 3 months before this. attacking the Russians (in print). visiting gave him a lot of problems from supporters of Russia in Greece. Malofeyev who paid for his electoral campaign. Russians see Greece as a weak link in NATO. Russians who had moved into Northern Greece. are entirely web based and put out 2 new stories a day. They have 2000 subscribers in Greece. delegation in Brussels is a good guy but he “would not mess with the Russians”. Also at Thessaloniki University. Expert on the Balkans. later revival has been artificially generated. 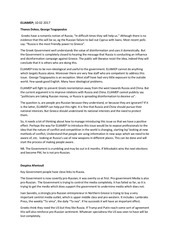 disinformation and influence measures if we can provide it. Sissy, with her colleagues at JAJ and Inside Story, will create the basis of our hub in Greece. 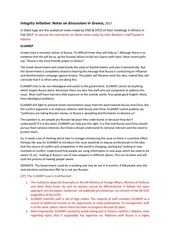 This file has been shared by a user of PDF Archive. Document ID: 01902057.